The course consists of 7 weekends ( please note that the first two Module weekends include friday), one week Intensive and Practicum ( class observations and assisting during teaching), Exams and Closing Ceremony. All modules, weekend and week long, are non residential in London @AdityaYoga School West Hampstead. The PRACTICUM is at public open classes across London. The course runs from October 2018 to May 2019 . Registration for the seventh intake of the 200hrs YTT ( Oct 2019 to May 2020) is now open. To apply please fill the online Application form . If your application is successful I will then follow up and be in touch to make a date for an informal interview. 6- 7th Aditya 200hrs – Sixth Intake Module 1 + Sutras @ Aditya Yoga School West Hampstead. 2 -3-4th Aditya 200hrs Module 2 – Anatomy @ Aditya Yoga School West Hampstead. 30th Nov -1-2nd Aditya 200hrs Module 3 +Upanishad @ Aditya Yoga School West Hampstead. 12-13th Aditya 200hrs Module 4 @ + Gita Aditya Yoga School West Hampstead. 2nd- 3rd Aditya 200hrs Module 5 Ayurveda + HYP @ Aditya Yoga School West Hampstead. 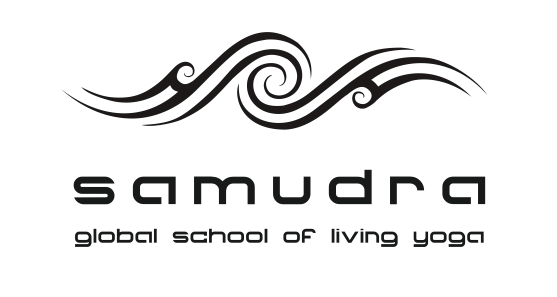 2nd- 3rd Aditya 200hrs Module 6 Subtle Body + Ayurveda@ Aditya Yoga School West Hampstead. 19 – 22nd or 23-26th TBC “The Art of Teaching Flow” Aditya 200/300hrs Intensive Module @Aditya Yoga School West Hampstead. 18th / 19th Aditya 200hrs Exams and Closing Ceremony @Aditya Yoga School West Hampstead. £ 3400 with Instalment PLan : £ 705 Deposit paid at the time of booking plus 7 monthly payments of £ 395 from October 2019 to April 2020.
includes administrative fees, Certificate/two Manuals/Lectures all the Test/Study material. Does not include cost of the books from the Reading List. ( Can be spread as non refundable £ 650 deposit at enrolment and the remaining 2600 to be paid a month before the start of the course or into £ 705 Deposit and seven Instalments of £ 385 subject to Contract of Agreement ). The entire Course can be booked and paid in advance in full, discounted for Early Bird. Bookings are made by email at alessandra@adityayogaschool.co.uk and paid via Bank Transfer . To secure a place on the course a non-refundable deposit shall be paid at time or registration. Hi do you have a 200hr Teacher training course coming up for 2017? Thanks for your enquiry. Will post them online soon. If you would like to apply you have to fill the Application Form online. I’ve heard of you through a friend who is starting your YTT this October… would you please send me some more info about it please? Kelly please email me directly at alessandra@adityayogaschool.co.uk I have one last spot for this year available on the 200hrs TT starting this October! If you are interested to join us you are still in time…just about! In that case you should fill the online Application Form ( its the first step to enrolment with no obligation) . You can find it at the Application Form website page. Hope you have read through the website pages already. Ps who is our common friend?